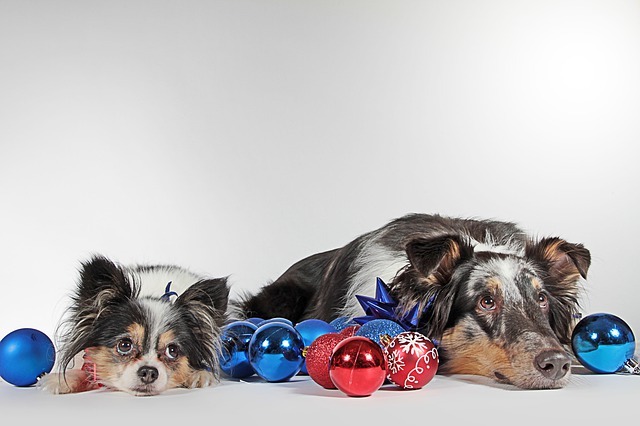 ‘Tis the season to really spoil your pup, and iHeartDogs doesn’t want him to miss a single thing about the holidays! His presents are tucked under the tree with the rest of the family’s and his cute little ornament is hung in it’s branches. There’s a stocking with his name on it, and we point out the Snoopy balloon when it passes by in the parade. We include him in everything – right? It’s no secret that this is also the time of year that we tend to loosen our belts and treat ourselves to a little extra at the table. We spend our time baking and cooking and filling our homes with so many sweet and savory smells, and then we tell our pups to keep their paws off the counter and noses out of the food! It can be tempting to cave when you see those big puppy dog eyes looking pie-ward, but we have to remember that our food, especially the sweet stuff, is loaded with things that can harm our dogs. Excessive sugar and fats should be considered off-limits for our furry family members, because dental disease and obesity are real problems, but that doesn’t mean he has to be left out of one of our favorite ways to celebrate. When the family is sitting down to dinner, make sure your dog has special treats of his own! You don’t have to slave away in the kitchen to include him, The Dog Bakery has you covered! 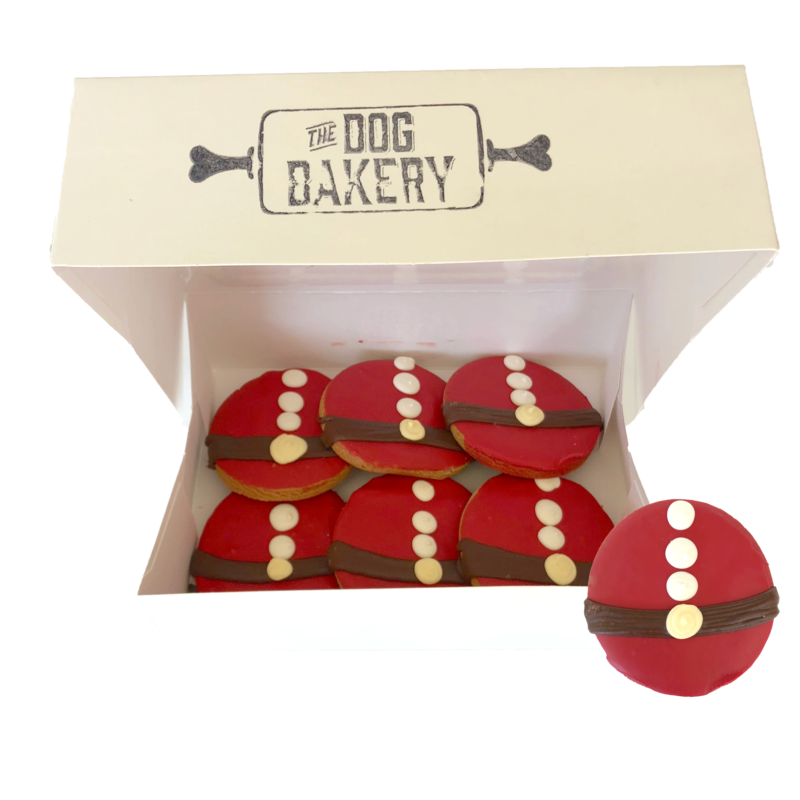 They’re offering to do the baking for your pup, and not only is it totally safe for your dog, they’re cute, fun and delicious, too! Will you be setting out cookies for Santa? Set out some cute Santa Paws Doggy Cookies for your pup! Lighting a menorah? 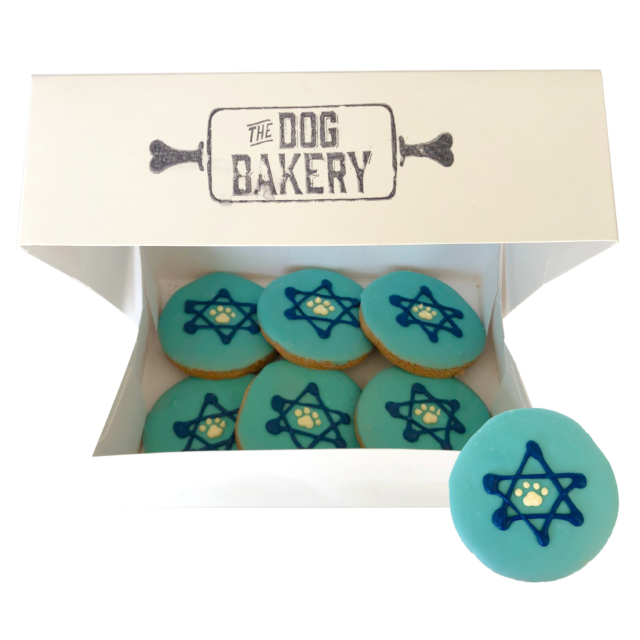 The Dog Bakery has Hannukah Doggy Cookies that’ll have your dog howling Ma’Oz Tzur! Each cookie is thoughtfully decorated by pros, and though your dog may not spend much time looking at them, they’ll give you something sweet to hashtag about! Best of all? They’re made with dogs in mind. That means no added sugar, ZERO artificial sweeteners, and lots and lots of peanut butter to make them totally bark-worthy! The ingredients are listed right on the page, so you know exactly what your dog is eating. They’ll last 30 days on the shelf, or 30 seconds on a counter your dog can reach!